Chocolates - A sinful affair for the weight watchers; a blissful ignorance for gluttons. One can fiercely debate on the pros and cons of consuming a candy bar. Abstainers can make an airtight case, they can expose you to the risks involved. But, the thing that happens behind those drawn curtains is not a mystery to anyone. You don’t need your Watson to see through this plot. As, in one of their weakest moments, every rock melts. If you are still staying in your closet, I have got something for you; some words of motivation that would give you the reason to come out. Big brains in the industry have finally achieved success in toning the chocolate down. The disturbing trend of obesity gave the cue to the chocolate manufacturers. They sped up their activities by funding innumerable researches. The objective was to shut the pandora’s box by reducing the calorie content. 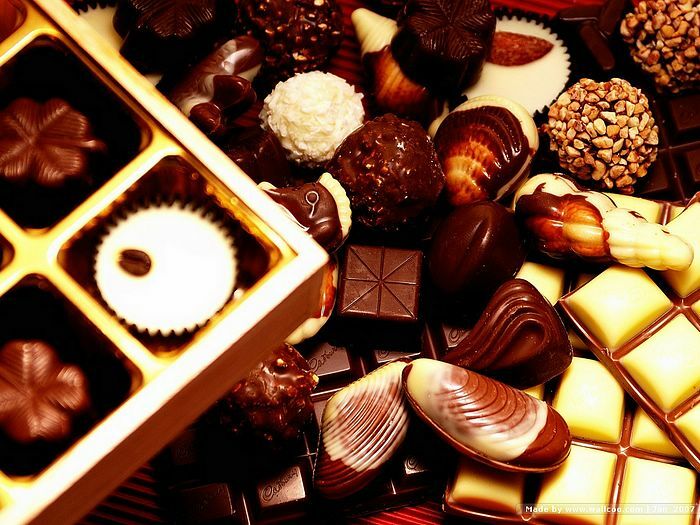 It’s been more than a decade, since chocolates first appeared in their slim avatar. You don’t have to bear witness to another war as the voices of ambivalence will never resound in your head again. Next time allow yourself to fall in the trap of chocolate seduction, as your fling with sugar free and calorie deprived bars won’t leave you with the baggage of extra pounds. If an innocuous act of your friend; as harmless as unveiling a candy bar, teleports you to elm street, you would probably find an exit in this valuable piece of information. The boogey man who dresses himself in chocolate wrappers never dares to show up in the territory of Dark Chocolates. The global chocolate industry braved the deadly tide of recession and managed to stay afloat with its pliant business strategies. The aid of comprehensive market research kept the sales figures stable. Consumers with unwavering taste buds were not disappointed. Their refined preferences were duly accommodated in the stringent budget frame. Now, it’s your turn to add the extra spoonful of sweetness in the lives of your loved ones. You just need to spare some time for online shopping. You won’t require any directions as you already know which way to go. Come, visit us on our site to get the most pleasant surprise of your life. Remember tying knots on your tongue is not a normal behaviour. Wow, a great new store on Indiaplaza.Now Indians can relish from the huge varieties of chocolates right from their homes. A suggestion is, please try to add some homemade chocolates too inaddition to branded ones.